The London Borough of Richmond upon Thames in south-west London, England, forms part of Outer London and is the only London borough on both sides of the River Thames. It was created in 1965 when three smaller council areas amalgamated under the London Government Act 1963. It is governed by Richmond upon Thames London Borough Council. 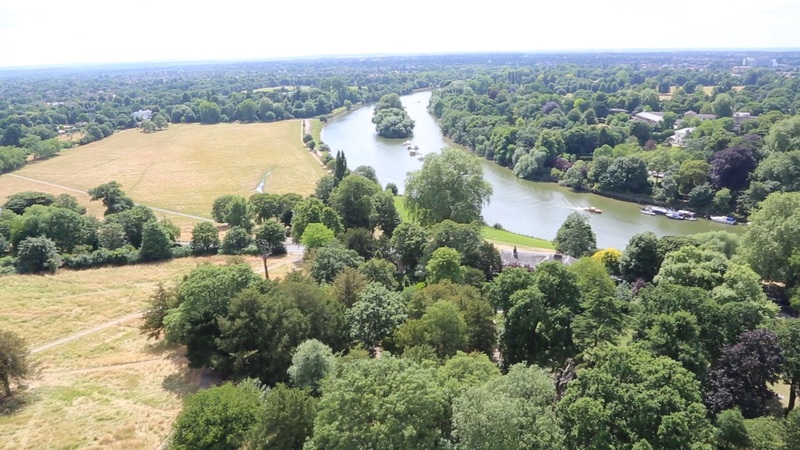 The borough is approximately half parkland – large areas of London’s open space fall within the borough boundaries, including Richmond Park, Kew Gardens, Bushy Parkand Old Deer Park. The predominant other land use is residential use and most businesses within the boundaries consist of retail, property improvement/development and professional services; parts of it – including Barnes, Richmond, St Margarets, Cambridge Park and Marble Hill, some areas of Twickenham and much of East Sheen – rival Stanmore Hill and Kenley as the highest house-price districts and neighbourhoods of Outer London. Demography is a diverse picture as in all of London: each district should be looked at separately and even those do not reflect all neighbourhoods. Whatever generalisations are used, “the fine-grained texture of London poverty” by its minutely localised geography must always be taken into account according to an influential poverty report of 2010. Richmond upon Thames has the lowest child poverty rates in London at 20% and contains at least one ward with an above-average level (for London) of working-age adults receiving out-of-work benefits but even this borough – reflecting the best result – has two standard poverty indices of sixteen in which it is placed in the worst quarter of boroughs. La Buvette has established itself as Richmond’s premier, independent French restaurant. The Ivy Cafe, Richmond is an all-day dining British cafe with an all-encompassing menu serving modern British and international classics, seven days a week. The Bingham is Richmond upon Thames’ riverside drinking and dining destination. At the heart of the Alberts lies one of the very best pubs in Richmond... The White Horse is the ideal spot to enjoy a perfect pint, hand-picked wines and exceptional food with family and friends. Situated on Richmond Hill and a stone’s throw away from Richmond Park, our pub has a little something for everyone, whether you are looking for a cosy area to have a drink with your loved one or a group of friends, to an amazing dining room filled with character. This is a small, friendly, traditional English Inn located in a quiet residential area on the slopes of Richmond Hill, with a history that dates back to Victorian times. Set along the banks of the Thames away from the bustle of the high street, Curzon Richmond is a dearly loved neighbourhood cinema which quietly competes with local multiplexes by showing the best in world and independent cinema.